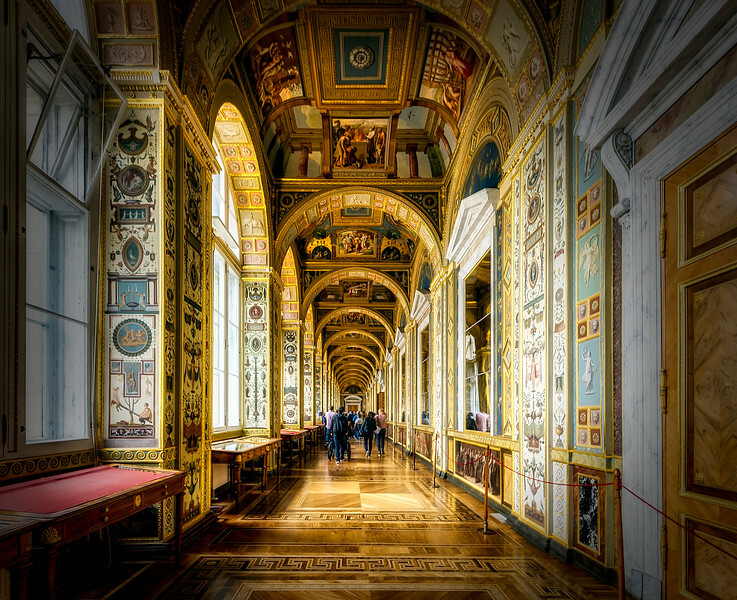 The Hermitage is one of those palaces that you enter and constantly wonder why and how and how much and pretty much anything else you can think of. There are times I wonder what I'd do if I won the Mega Lotto and this probably wouldn't be on my list. Not because I don't think it's stunning ... but I don't think I could visit all the rooms in a single lifetime. Plus, I rather not think of the maintenance.